We were taking our first drive through Wind Cave National Park after moving to South Dakota when I first saw them. I kept catching little movements out of the corner of my eye. But with each attempt to spy them from the passenger side window, there was only open prairie. That is, until I looked hard and caught a glimpse of exactly what was popping in and out of the ground, blending in so well with the landscape’s brown hues. They were prairie dogs, and I was immediately in love with their plump, furry adorableness. As a new resident to the state and neighbor to the burrowing rodents, I wanted to learn some facts about prairie dog families. 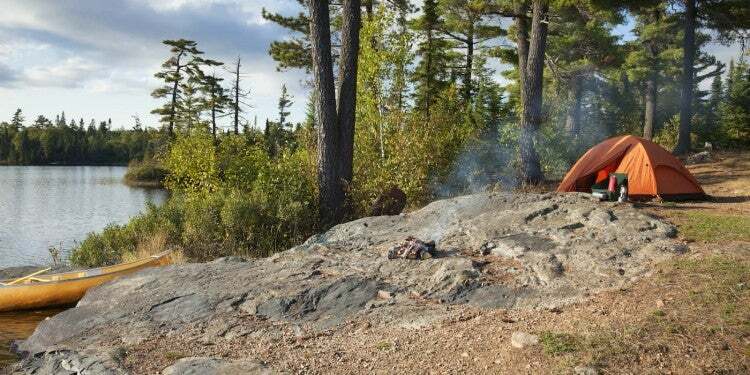 That’s what made me fall for these tiny mammals deeper and to seek out any chance I could to camp near them. There are five different species of prairie dogs—black-tailed, white-tailed, Gunnison’s, Utah, and Mexican, and each are typically found across the grasslands of North America. In the United States, they are primarily found west of the Mississippi River. One of the less-heartwarming facts about prairie dog colonies relates to their current range: due to encroachment on their habitats by urban development and agricultural industry, prairie dog colonies have shrunk by around 95% of their historical size. These facts about prairie dog families might further your appreciation of them when you see them. Below are 10 heartwarming prairie dog facts to get you excited for your next trip to the prairie. One of the most important prairie dog facts is that the critters are considered a “keystone” species. A keystone species is a species on which many other species within an ecosystem rely. If a keystone species is removed from that ecosystem, it would undergo dramatic changes, and other animals and plant life may suffer. But, it’s not just being the food source that makes prairie dogs such an important keystone species. An interesting prairie dog fact is that their grazed areas attract insects, which feed the ecosystem’s birds. In addition, they help improve soil quality by aerating it with their tunneling and providing nitrogen through their dung. This leads to these areas having highly nutritious plant life. 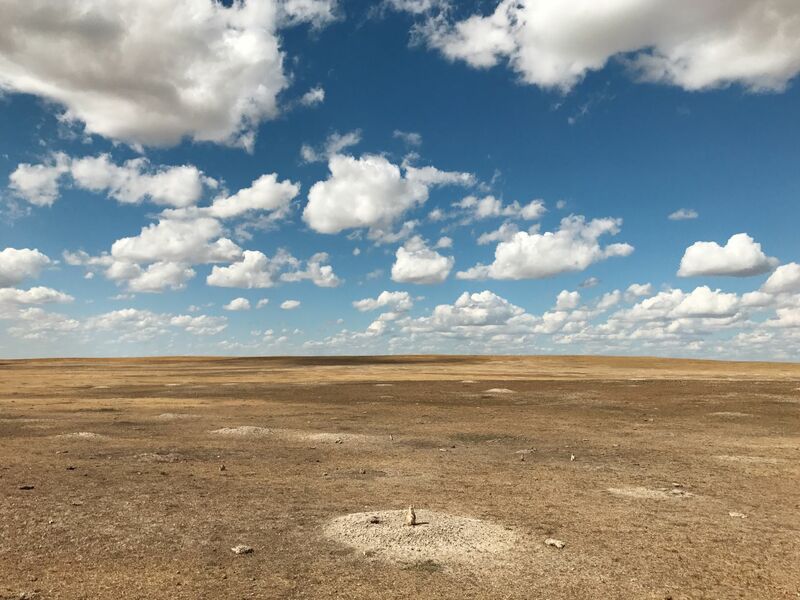 One study showed cows that grazed on prairie dog lands gained just as much weight as those grazing outside of these areas, despite the cows on the prairie dog lands eating a lower overall volume of grass. Prairie dogs live in what are called “coteries.” Coteries are close-knit groups of prairie dogs that live within the same burrow. This is where prairie dogs raise their young. As the saying goes, it takes a village to raise a child. 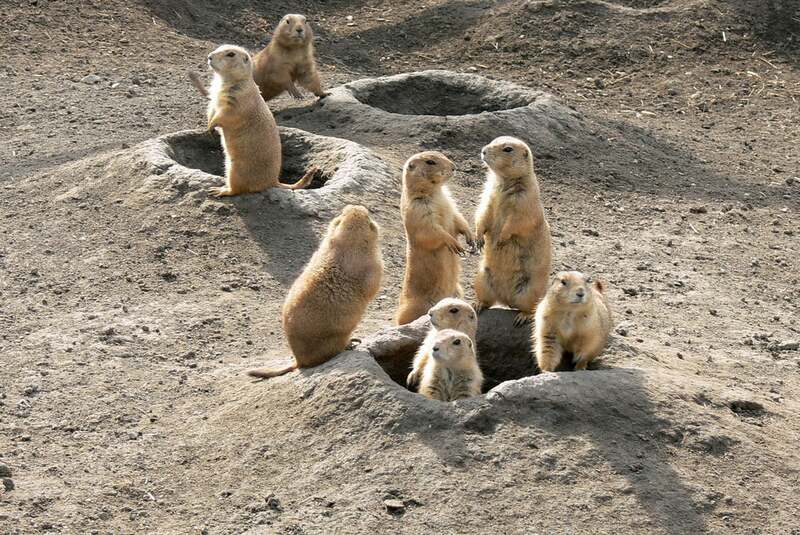 In the prairie dog world, several coteries are grouped together to create neighborhoods, and many neighborhoods are grouped together to make up a prairie dog town, or colony. Coteries typically have one or two breeding males and many breeding females, as well as any new pups. Males will wander between the neighborhood’s different coteries, but the female prairie dogs stay with each other for life—total BFF style. While an untrained ear may think that all prairie dogs barks sound the same, one of the more fascinating prairie dog facts is just how complex their means of communication are. Some researchers believe that prairie dogs actually have more developed communication than chimpanzees or dolphins. 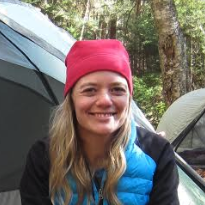 Professor Con Slobodchikoff from Northern Arizona University has studied prairie dog communication for over 30 years. Through doing so, he documented different sounds used to communicate several specific messages. While many of these related to alerting the colony of a predator in the area, those alerts were remarkably distinct. Prairie dogs could both give the alert that a predator was approaching, as well as formulate sentences that described the exact predator in question. Their barks could communicate size, color, species, speed, and direction. 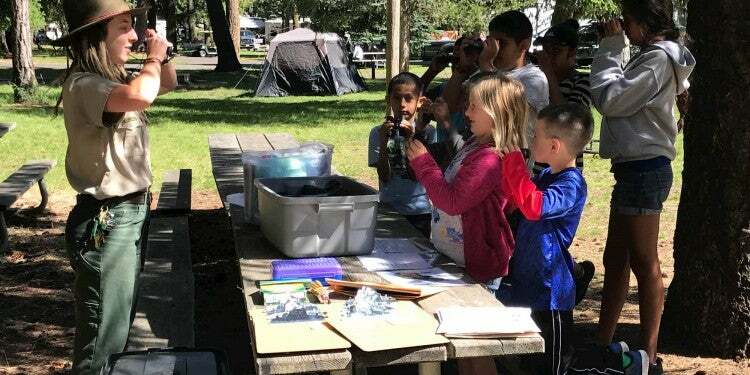 Professor Slobodchikoff showed photos to captive prairie dogs, as well, and found that they could formulate new sounds to describe images they hadn’t seen before. 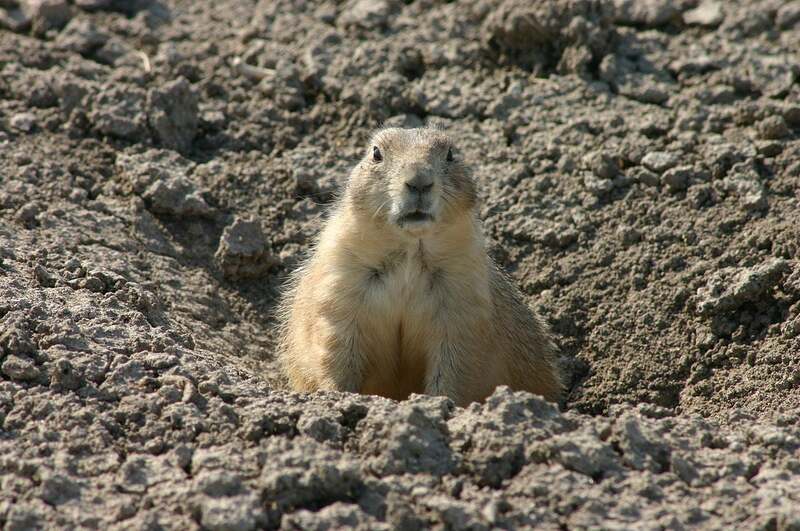 Prairie dogs don’t just live in a hole in the ground. They build intricate underground homes. These tunnel networks have multiple openings; think of them like a front and back door, one that exits to the sun room, and another that goes out to the garden veranda. Within the tunnels are also a variety of rooms, each with a defined purpose. Prairie dogs have unique rooms for sleeping, raising their pups, storing their food in the pantry, getting rid of waste, and listening to their surroundings. With such lovely living quarters, they’re active housekeepers, too, keeping everything clean and tidy. There’s another prairie dog fact that relates back to both the generosity of the critters, as well as their knack for creating a good home. Prairie dog towns aren’t just shelter for the prairie dogs themselves, but also for other regional critters, including burrowing owls, jackrabbits, toads, and rattlesnakes. Burrowing owls, especially, can blend in and look just like a prairie dog from a distance. To spot them, search for the prairie dog that looks a little funny compared to the others, and then look a little closer. You might just catch a glimpse of one of these beautiful burrowing birds. 6. Yes, Prairie Dogs Kiss! 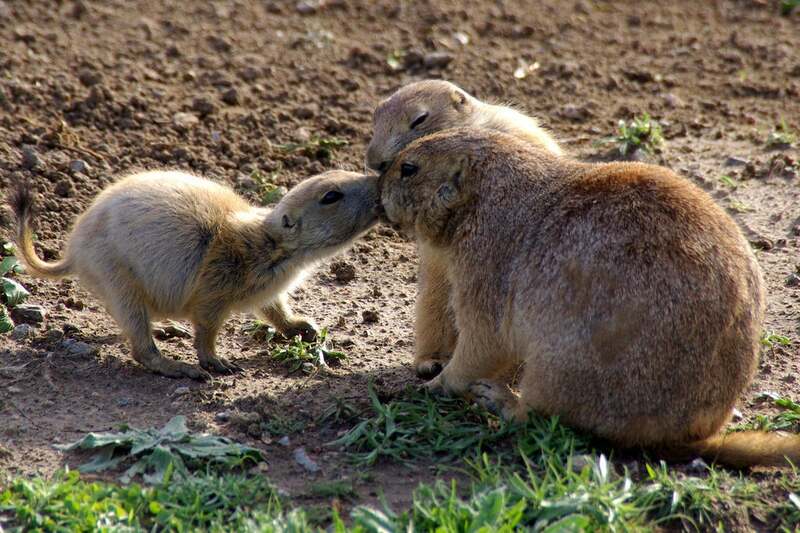 As prairie dogs pass one another around their burrow, you might just catch them sharing what looks like a kiss. Prairie dog kisses involve touching noses and locking teeth. They do this to tell if they both belong to the same family. Signs of affection go a long way in this rodent community. 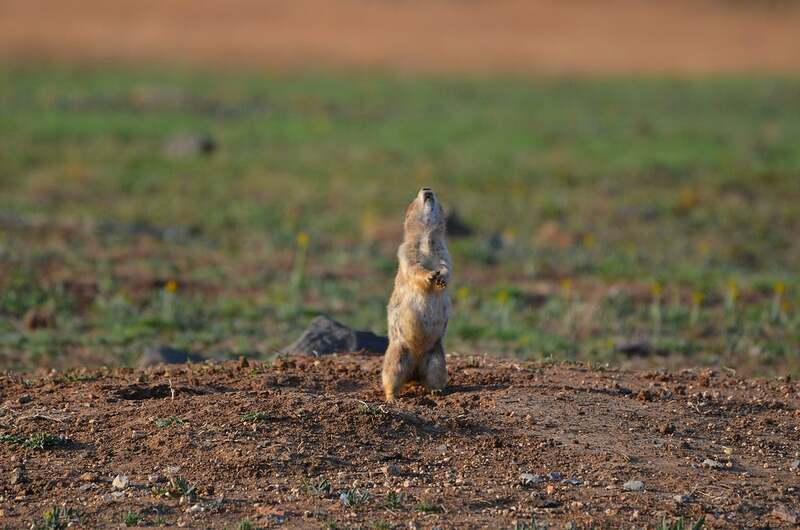 If you hang out in a prairie dog town long enough, it’s likely you’ll see them do “the wave.” One prairie dog will jump up on its hind legs, throw its arms up, and make a loud yipping sound. Once one does it, it seems contagious, and each of the prairie dogs in the town will take its turn doing the motion. It’s adorable to watch, but it also serves an important purpose for the community. Since several other animals are often looking for a tasty prairie dog snack, prairie dogs need to remain vigilant at all times. To do this, they stay in constant communication with one another. Taking a turn doing “the wave,” is their wave of making sure everyone is paying attention. As previously mentioned, prairie dog towns no longer cover the great range they once did. 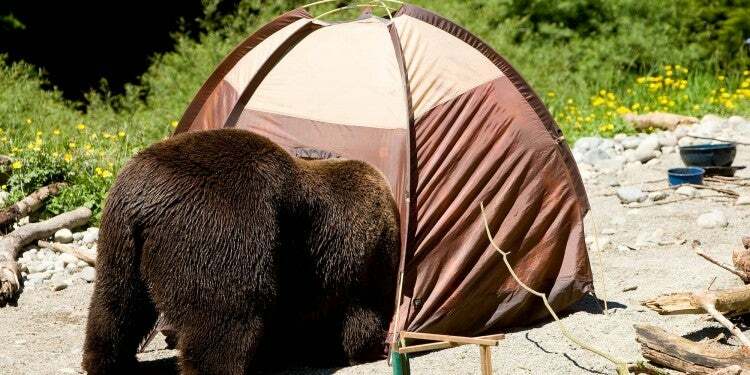 However, before their numbers began to decrease with urban development, they were thought to be one of the most abundant mammals in North America, potentially numbering over one billion in population. Not all prairie dog towns are sized the same, and some may be on the smaller end of the spectrum. However, that wasn’t the case in Kansas. These “city”-loving prairie dogs are responsible for the one of the largest black-tailed prairie dog towns, which stretched about 100 miles long. The genus name for prairie dogs, a biological classification that includes similar groups of species, is “cynonyms.” This word is derived from Greek and translates to “mouse dog.” It’s like a tiny little version of man’s best friend. In fact, early settlers compared the prairie dogs’ warning calls to the barks of a dog. Lewis and Clark noted the creatures in their journals from 1804 as they embarked across the United States. 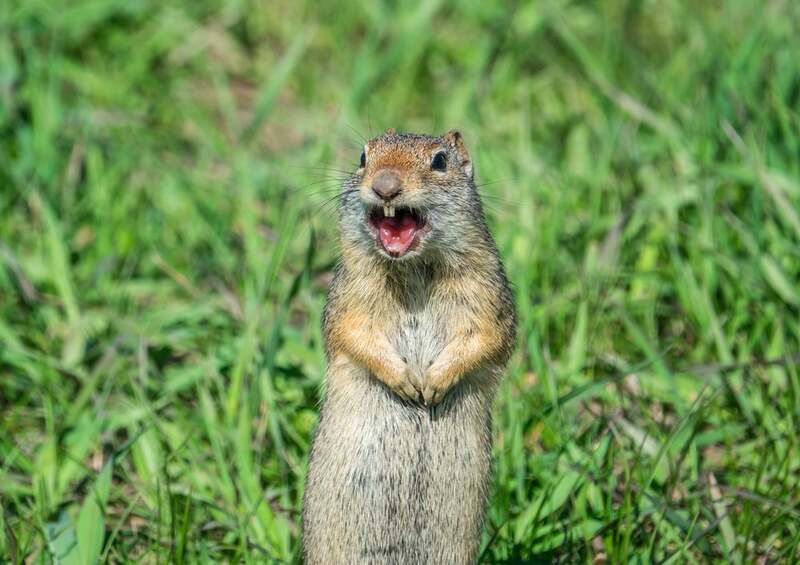 This barking sound, met with their grassy habitat, logically led to the name “prairie dogs,” or the arguably cuter, “mouse dogs,” and has since stuck. Where To Find Prairie Dogs in the U.S.
Today, prairie dogs are protected in several national parks. 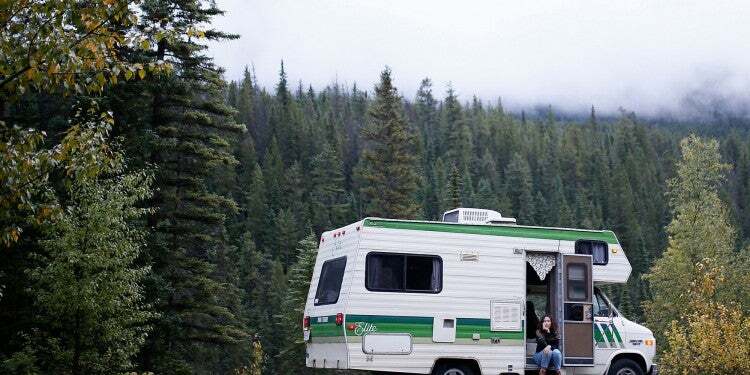 In South Dakota, campers can find prairie dogs by visiting Robert’s Prairie Dog Town—a section of Badlands National Park teeming with burrows and prairie dogs. To the north, travelers will find them poking around at Theodore Roosevelt National Park in North Dakota. Park visitors can also enjoy these critters in the northern meadows of Bryce Canyon National Park in Utah. 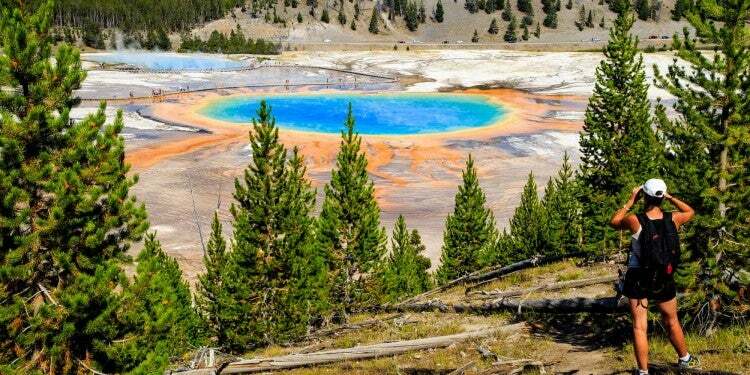 These national parks also offer informative tours and programs that will offer you a chance to learn great facts about prairie dog habitats while you seen them in person. Knowing some of the prairie dog facts above will also help you spot them. Prairie dogs are active during the day, so head out in the afternoon for the best chances of seeing them. Look for them in flat grassland areas. Key clues that prairie dogs are present include: raised mounds of dirt, holes in the ground 4-12 inches in diameter, and stretches of prairie that have more dirt than grass. 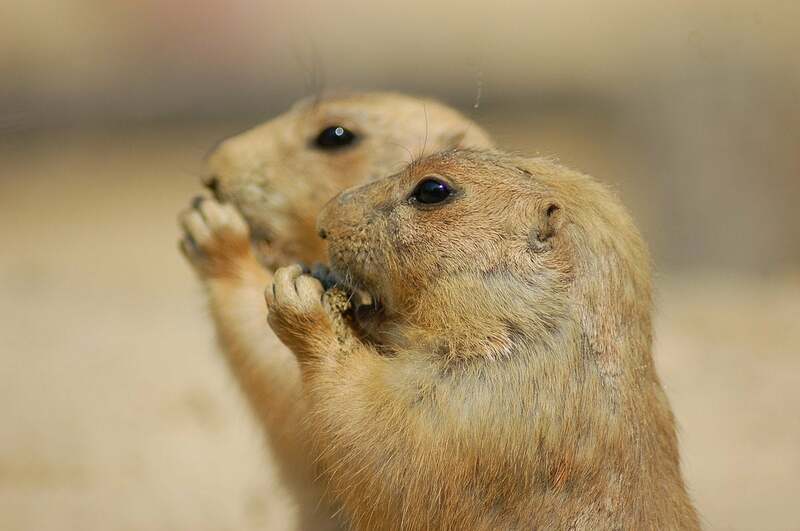 Prairie dogs are sensitive to sound, so try to be quiet while waiting for a sighting. Good luck!